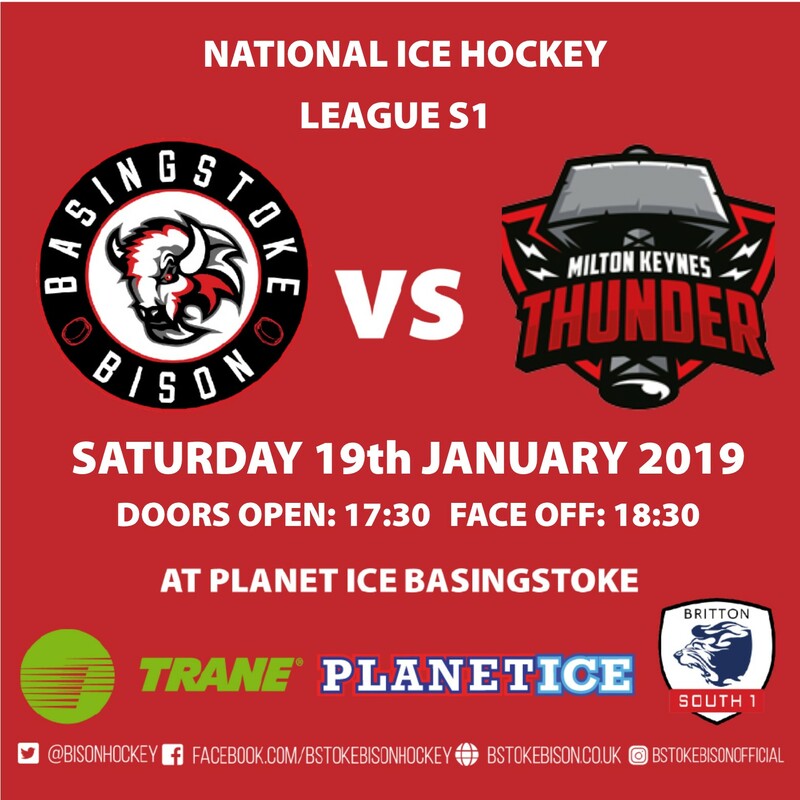 This weekend sees the Trane sponsored Basingstoke Bison play our second home game of the season against the Milton Keynes Thunder followed by an away fixture in Bracknell. The game starts at 6.30pm with doors opening at 5.30pm. Tickets are available in advance by calling 01256 355266, at the box office for personal callers or online by clicking here and on the door. Looking ahead to the weekend games Bison player/coach Ashley Tait said: �Last weekend�s game was a great result for the organisation and we go into this weekend�s games full of confidence for what will be two tricky games. Ashley continued,� fans will certainly be looking forwards to Sundays away game after last weekends great win but as coaches and a team we will treat the game as any other with an opportunity to pick up 2 points�. On Sunday the game in Bracknell faces off at 6pm.